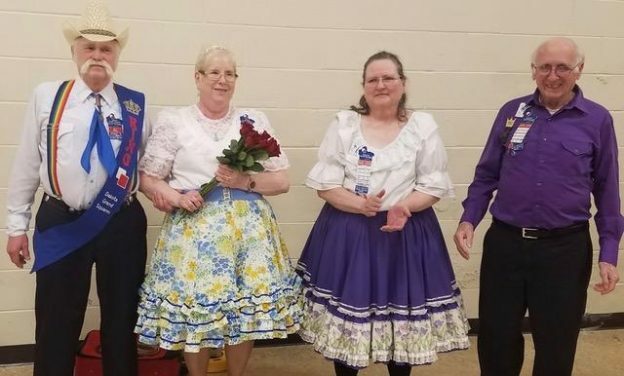 April 6, 2019 – Dakota Grand Squares “Royalty Prom” Square Dance, Inver Grove Heights, Caller Tom Allen, Cuer Ken LaBau. Dakota Grand Squares celebrated their incoming royalty Gale and Al Wutschke. Rose and John Cook, current royalty, welcomed them (see photo above).